GT1 > Blog > Uncategorized > Ordinary people at the British Isles Finals – Standing Strong Together. What an emotional and inspirational weekend! 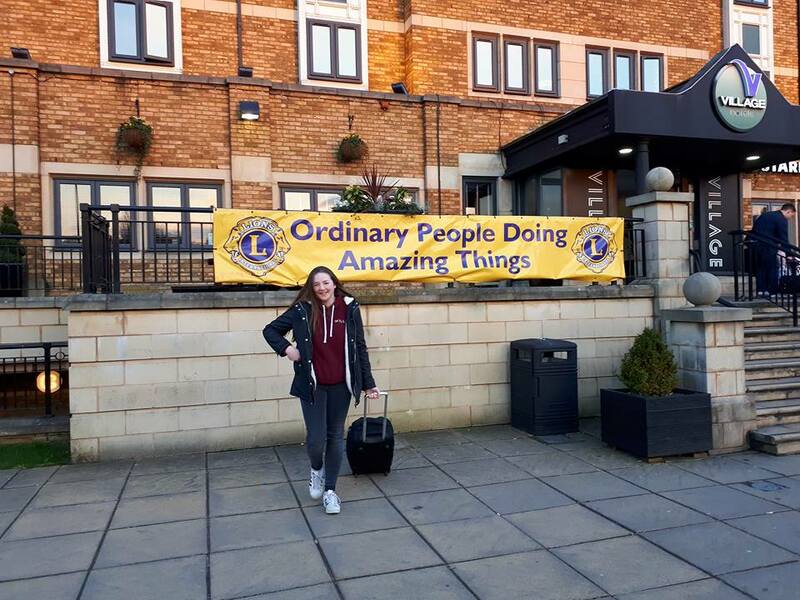 We are so very proud of Chloe, for raising awareness of Type 1 Diabetes and promoting GT1 in the Lions Club Young Ambassador of 2018. She made it to the Finals of the British Isles this weekend, representing the South East! Chloe was one of eleven finalists from around the British Isles. The candidates all had different causes that they were competing for amongst very difficult circumstances. They all took our breath away and it was such a privilege to be around the 11 completely inspirational finalists. The winner was a lovely 18 year old girl who has set up a sports facility for children with disabilities and learning difficulties. There wasn’t a second/third place… they were all completely amazing, and there was unanimous agreement in the room that no one envied the judges. Thank you Chloe and thank you to the Lions Club for all your support.